Aromatherapy pregnancy and the benefits of it. Helps you to relax, has positive thinking. these qualities will greatly help especially in child-bearing or child care. A pregnant woman who is relaxed is more likely to manage labor and subsequently bond with her child after birth. 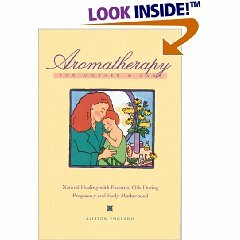 Aromatherapy should be an effective support for what is learned at prenatal classes. Those who use the aromatherapy will more get benefit of the relaxation techniques. Essential oils for cellulite will help the pregnant women prevent the strecth marks by keeping the skin well nourished. The use of essential oils will also aid the pregnant mother to be in constant contact with their bodies that is beneficial to themselves and the baby inside of them. Touch from a qualified therapist or your own partner has therapeutic effects. A pregnant mother or those past child birth will most likely be able to bond with her infant if during pregnancy she experienced the same pampering. Through aromatherapy, the condition of the mother is improved and she will has a feeling of calm and goodness when massaged. The massages effect relieves stress and other negative feelings. Although aromatherapy can't deal with everyday problems that will occured but massage will help them manage negative emotions or any pessimistic thoughts to attain a better state of mind and well being. Aromatherapy can help pregnant women keeping their skin and body well nourished and potentially avoid taking drugs. There was a French study conducted involving 1000 women respondents who are pregnant. It was noted from the study that 99% of these women were prescribed with one drug at the least during the period. 59% of these are drugs that pose a risk to the fetus with benefits considered acceptable. And 79% of these are taken medications that has not been tested for safe usage either on humans or animal thus no information on effects. The lack of information on essential oils applicability and safety on pregnant women and lactation is not a surprising fact having seen this data. It is however known that the essential oil application crosses the blood-brain barrier so it is accepted that it crosses the placenta as well. With this, essential oils with known high toxicity are avoided and there are guidelines that need to be followed in the use of essential oils during pregnancy. On a traditional methods, a low dose topical applications will have the risk negligible. Essential oil application is reduced during pregnancy since, like psoriasis, some skin condition tend to improve. Any formulation that is intended for any condition related to pregnancy like stretch marks, the dosage is reduced to half and only the most non-toxic essential oils are used. The dosage of essential oils in formula for application is reduced to half not just for safety reasons but to also adjust the intensity of the scent due of hyperosmia in pregnant women. Aromatherapy pregnancy treatment must not be administered during the first trimester of pregnancy. Only highly-knowledgeable and qualified therapists who understand the contraindication of essential oils to pregnancy can perform any treatments to pregnant women past their first trimester. It is also important that any applications be sought for from the persons midwife or doctor. 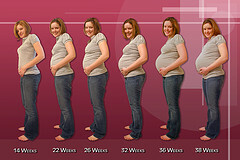 Pregnancy should be a joyful time, for this special time where you are preparing the body and mind to receive the baby. The gentle and simple act of touch can bring comfort, support and a wonderful sense of nurturing as well as relieve both the physical and emotional symptoms which are common to pregnancy. Minimizing the physical discomfort through the use of aromatherapy pregnancy will help you focus on what really matters during this important time: you and your child. Aromatherapy pregnancy treatment can help to relieve anxiety and worry, improve connection with the baby, or just provide an opportunity for some valuable pampering. Essential oils may be used during pregnancy and childbirth and with a couple of massage techniques, it will help establish a nurturing experience to both infant and mother. Aroma therapy treatment to ease discomfort during pregnancy such as nausea, heartburn, anxiety, depression, hemorrhoids, insomnia, and stretch marks. Essential Oils that Help Labor - During labor, aromatherapy can be used to relieve pain and stress. Here you'll find tips for solving problems after birth, dealing with the baby blues and adjusting to life as a new mum. There is no doubt that the relaxing and soothing effects of many of the oils and massage techniques used in aromatherapy massage pregnancy can increase your sense of well-being. Enhance your fertility with fertility aromatherapy oil. Increase your chances of getting pregnant without medical intervention. Filled with advice and tips.